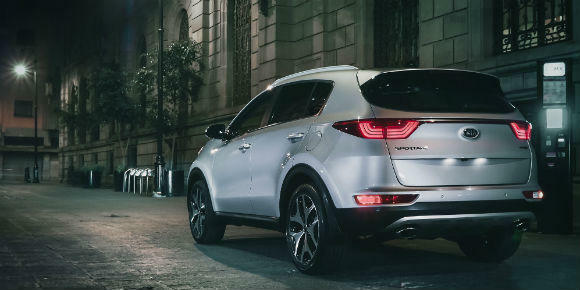 Power for the compact Sportage comes from a choice of four-cylinder engines backed by a six-speed automatic transmission. 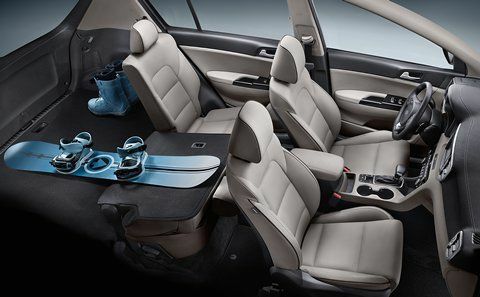 Front-drive is standard and all-wheel-drive is available. The base naturally aspirated 2.4-liter engine with 181 hp and 175 lb-ft. 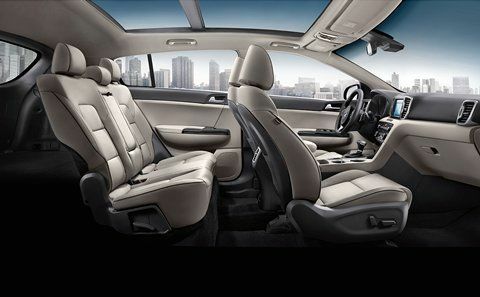 The standard engine is EPA-rated 21-23/25-30 mpg city/highway. Power for the top-spec SX Turbo model comes from a turbocharged 2.0-liter making 240 hp and 260 lb-ft. That engine is EPA-rated 20-21/23-26 mpg. 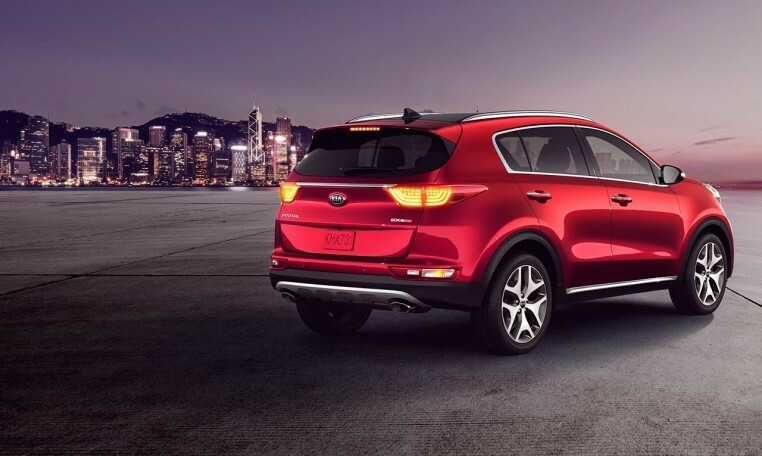 Kia aimed for an upscale feel for the 2019 Sportage with chrome trim around the windows on LX and EX models, while the SX Turbo features HID headlights, new “ice cube” LED fog lights, satin exterior trim, faux skid plates, and 19-inch alloy wheels. 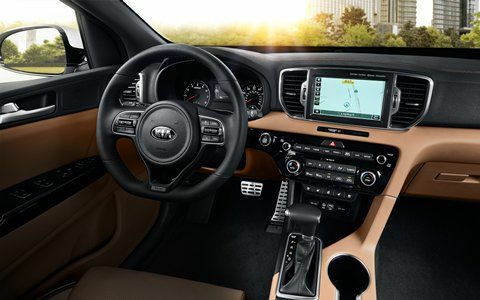 Inside, the Sportage is the first model with the automaker’s UVO3 infotainment system with Android Auto and Apple CarPlay, telematics services, and 8 gb music storage hard drive. 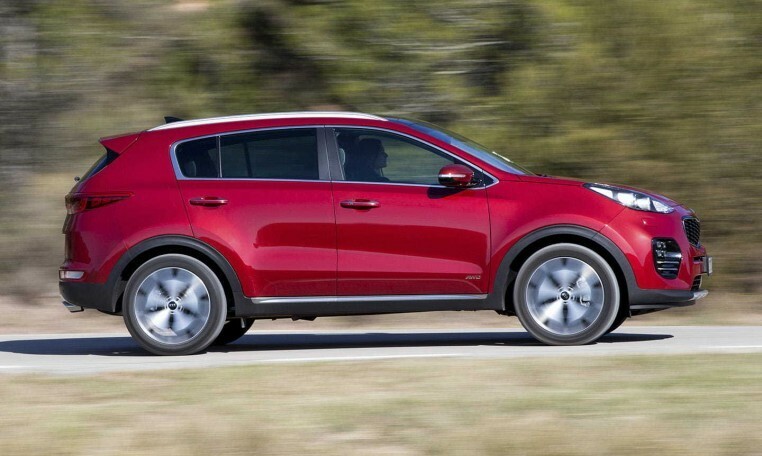 The Kia Sportage crossover has a five-star overall safety rating from the NHTSA (out of a possible five stars) and is considered a 2019 Top Safety Pick+ by the IIHS in part for a Superior rating for its available front crash prevention. 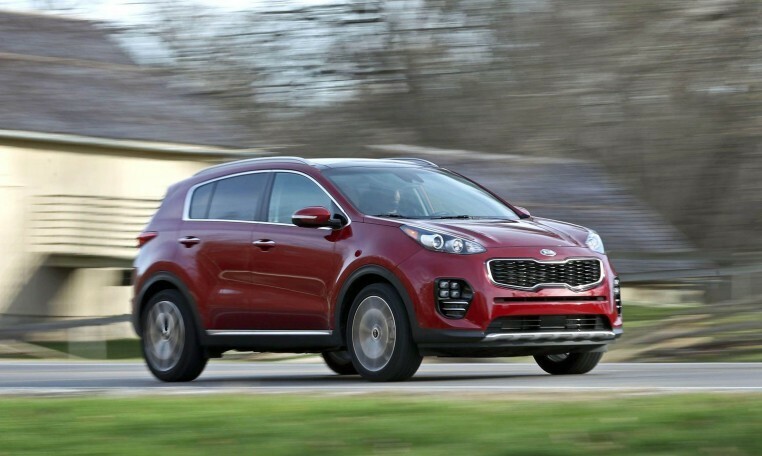 The optional Autonomous Emergency Braking helped the Sportage avoid a collision in both the low-speed 12-mph autobrake and high-speed 25-mph autobrake tests. Available driver-assistance features include Forward Collision Warning System (FCWS) and Autonomous Emergency Braking (AEB) with Pedestrian Detection, Lane Departure Warning System (LDWS), Blind Spot Detection (BSD) with Lane Change Assist (LCA), ear Cross Traffic Alert (RCTA), Front & Rear Parking Assist, and HID headlights with Dynamic Bending Light (DBL) and High Beam Assist (HBA) technology.